We are full-service professional learning. organization working with school districts, businesses, institutes of higher education, and state and federal departments of education to improve science and mathematics education in California and nationally. Aside from our work and our commitment to excellence what makes us the K-12 Alliance is our CULTURE! The California NGSS K-8 Early Implementation Initiative was developed by the K-12 Alliance at WestEd with close collaborative input on its design and objectives from the State Board of Education, the California Department of Education, and Achieve. This Initiative began in August of 2014 as a fast-start demonstration project to build local education agency (LEA) capacity to fully implement the Next Generation Science Standards (NGSS) in grades K-8. Partners in the project are eight school districts, and two charter management organizations. These LEA's serve as a "lab" to selectively beta-test NGSS-aligned instructional materials, implementation tools, and performance assessment prototype items. Learnings from these districts will be shared statewide to advance high-quality science teaching and learning. Selected in a competitive application process, with input from expert reviewers, and funded by the S.D. Bechtel, Jr. Foundation, the eight California districts are: Galt Joint Union Elementary School District, Kings Canyon Unified School District, Lakeside Union School District, Oakland Unified School District, Palm Springs Unified School District, San Diego Unified School District, Tracy Unified School District, and Vista Unified School District. The two California CMOs in the Initiative are Aspire and High Tech High, whose participation is funded by the Hastings/Quillin Fund at the Silicon Valley Community Foundation. The districts and charters broadly represent the diversity of California schools in terms of demographics, location, and size. They were chosen based upon previous demonstrated commitment to science education, high capacity to begin implementing NGSS in 2014-15, and a commitment to implementing the CA NGSS Integrated Model for 6-8. Collectively, they impact approximately 200,000 students. The CA K-8 NGSS Early Implementation Initiative provides teachers and administrators with in-depth, content-rich professional development support from leaders in California's science education community that have been deeply engaged with NGSS content from the beginning and have strong experience in the professional learning of science educators. In addition, through informal collaborations among the K-12 Alliance, Achieve, and others, the LEAs in the Collaborative are given unique opportunities to be in the forefront of pilot testing new NGSS-aligned tools, processes, assessment item prototypes, and digital and other instructional materials to help the developers ensure their value to science educators. Districts and charters participating in this NGSS early implementers initiative are paving the way and eventually serving as resources for NGSS implementation across California, and in other NGSS-adopting states as well. The California Mathematics and Science Partnership (CaMSP) grant program, administered by the Science, Technology, Engineering, and Mathematics Office in the California Department of Education (CDE), is dedicated to increasing the academic achievement of students in mathematics and science by enhancing the content knowledge and teaching skills for classroom teachers through professional learning activities. No Child Left Behind (NCLB) Title II, Part B is the funding source for this in-depth professional development program. Phenomenon-based instruction required by the NGSS suggests that students have to "figure out" their natural world. Fortunately, students bring with them a natural curiosity of what is happening in the world around them. Studying science provides the context and the motivation for students to write, read and discuss what is observed and to make sense of those observations. Thus science and literacy go hand-in-hand. For example, obtaining and communicating information is not only a science and engineering practice but an avenue for meeting ELA goals for reading informational text or writing. Science notebooks as sensemaking tools provide students with evidence for claims as well as ELA details needed for high quality informational writing. Constructing explanations and arguing from evidence require information based on science concepts and information as well as skills in communicating the logic of the argument. The K-12 Alliance has developed several professional learning programs that build on the synergy of science and literacy. These programs capitalize on students' natural need to question and understand the world as an avenue to build language arts skills. Student questions are used to launch carefully structured sequences of experiences designed by the teacher. These experiences included interactions with hands-on experiences as well as reading and writing about the "real world". 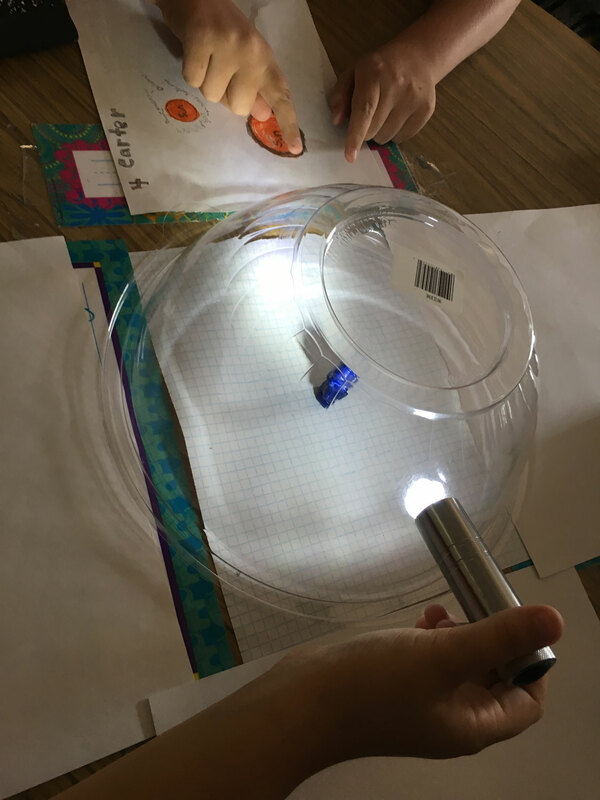 Science Writing Impacts Real Learning (SWIRL) and Science Drives Literacy (SDL) are two elementary school projects that used science as a context for reading, writing, listening, and speaking. Both projects were designed to add hands-on science experiences in low SES, high English Language Learner population school sites. Previous to the projects, none of the students had science instruction before grade five. Daily hands-on science and sensemaking notebooks became the norm for students in both projects. The SWIRL project was a site-based program for K-6 teachers who attended f a summer content and pedagogy institute and participated in school wide lesson studies. Results for the SWIRL project included an increase in grade 4 writing sample scores, an increase in CST ELA scores, and the CST science grade 5 scores. This increase in student understanding moved the school from the lowest in the district to the highest in science achievement. Science Drives Literacy (SDL) targeted four low SES schools with high English Language Learner populations. Target teachers were grades four and five at each of the sites. Teacher efficacy as measured by STEBI showed promise for teachers using science to support language arts as well as reporting high student motivation to read. In addition to the elementary teachers using science as a context for literacy, the K-12 Alliance also has programs that help secondary teachers recognize the value of integrating the two areas. In the NGSS Early Implementation Initiative secondary teachers use "sensemaking notebooks" to record data, look for trends, and summarize patterns. Reading after doing science investigations help students obtain and evaluate information, strengthening their understanding of science concepts. Discussions, writing in their notebooks, and in more formal presentations helps students make sense of the information and provides evidence for arguments and claims needed for scientific writing as well as secondary informational common core writing. The reading and writing support are a win win for science and literacy. Data is just data until it is interpreted. This is true at a district level when making overarching program decisions as well as within classrooms to evaluate student learning. The K-12 Alliance has experience in both contexts, demystifying the increasing and perhaps overwhelming amount of student information that need to be interpreted by administrators, and by teachers in order to appropriately respond to students’ needs. The Using Data Project (Nancy Love, 2000) is a program that combines the collaborative inquiry process, reflective dialogue, and rigorous use of data to improve outcomes for all students. The project has tools and processes to build collaborative cultures that nurture ongoing inquiry and use data systematically. Based on the Using Data Project , the K-12 Alliance was integral to the development of The Data Coaches’ Guide to Improving Learning for All Students field guide. The K-12 Alliance implemented this work with districts from Clark County in Nevada to San Diego Unified School District in California. Participating schools significantly increased student achievement, teacher collaboration, and uses of data to improve instruction. The tools and processes from Using Data and the Data Coaches Guide can be customized to accommodate various contexts and to meet district needs for making data-driven decisions. The K-12 Alliance has experience supporting the informal use of student work to inform instructional practice. Within our lesson study protocol, the Teaching Learning Collaborative, the analysis of student work is a central feature of evaluating the effectiveness of lesson design. This process can be customized for work with grade level teams in Professional Learning Communities and other site-based endeavors. I used to let myself get stuck on what my students don’t know instead of asking how I connect with what they do know. Every student has his or her own understanding and knowing where each student is at is challenging. Now I know that I have a responsibility in orchestrating student understanding. Working with my colleagues increases the effectiveness of lesson design, my teaching practice, and my student learning. K-12 Alliance provides several professional development programs in the area of science and English Language Development. The K-12 Alliance program assists teachers and principals with structures to utilize science as a context for language development in both daily classroom instruction and after school programs that complement daily instruction. Programs rely on developing science content expertise as well as teaching strategies for using science to promote language learning. Inquiry science taps into our natural curiosity and this promotes language use. All students have science prior knowledge from interacting with the natural world to build new knowledge. Doing science involves multiple forms of language and Mathematics (although this does not mean the CCSS are fully covered). Science Practices and Crosscutting Concepts connect multiple science domains and are rich in language opportunities. 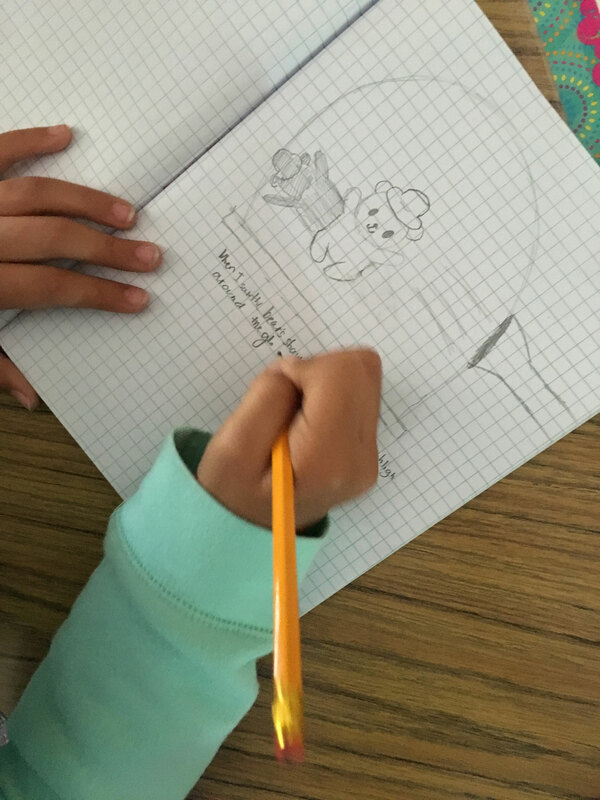 ELs may be limited in their ability to express their ideas in English but can express complex thinking in their native language, imperfect English or via drawings and the manipulation of materials. Reading and writing are part of science but interactions with text alone do not engage students fully in science nor do they reflect how science is done. Science is a social endeavor and involves the critique and review of new ideas by a community of scientists. Students need time to explore natural phenomena and multiple opportunities to build on and revise their ideas with peers. Promoting collaboration is critical ~ thinking takes place in communication. Language needs to be used for a meaningful purpose ~ learners engage in authentic communication. Having meaningful experiences motivates learners and learning. K-12 Alliance programs are effective in helping develop language. We highlight three programs that were funded through CPEC grants: Montebello USD., and two in Coachella Valley USD. In the Montebello grant, teachers from four elementary schools (grades K-4) participated in two sister projects that replaced the existing English Language Development program for a blended inquiry science and ELD design. The intent of this blended design was to develop students’ English proficiency using inquiry science as a context for language development. Findings suggest that participating teachers perceived the blended program to positively impact both their teaching and students in several ways. First, the implementation of the Science/ELD blended program led to an enhanced status for science at the school. Secondly, teachers, principals and school staff reported an increase in students’ English oral language use both in class as well as across school grounds (playground, cafeteria, office, etc.). Finally, teachers reported a change in their perceptions related to their students’ abilities and their own instruction. Teachers stated that after participating in the program they were more focused on how they structured their lessons (questioning strategies, concept sequence) and less on the EL label of the student. Students who received the blended science/ELD instruction had significant gains in their ELD development compared to their comparison schools counterparts, as measured by the CELDT exam. Students who participated in the blended program also had significant increases in English Language Arts CST performance (grades 2-4) and science CST performance (grade 5) compared to their comparison groups. 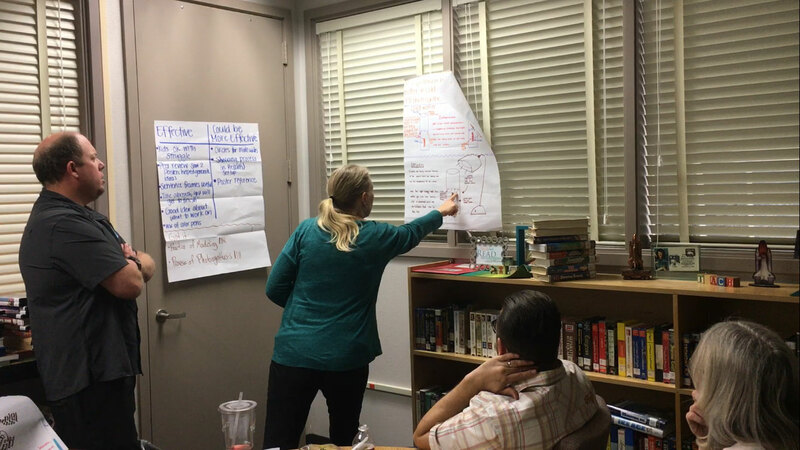 In Coachella Valley Unified School District, Science Writing Impacts Real Learning (SWIRL) and Science Drives Literacy (SDL) were two elementary school projects in Coachella Valley USD that used science as a context for reading, writing, listening, and speaking. Both projects were designed to add hands-on science experiences in low SES, high English Language Learner population school sites. Previous to the projects, none of the students had science instruction before grade five. Daily hands-on science and sensemaking notebooks became the norm for students in both projects. SWIRL resulted in an increase in grade 4 writing sample scores, an increase in CST ELA scores, and the CST science grade 5 scores. SDL used STEBI to measure teach efficacy, indicating that using science to support language arts, including student motivation to read, was a promising practice. Zoe Ann Brown and Kathy DiRanna, “Equal Access to Content Instruction for English Learners, An Example from Science,” (San Francisco, CA: WestEd, 2013). Gomez-Zwiep, S., Straits, W.J., Stone, K.R., Beltran, D., & Furtado, L. (2011). The Integration of English Language Development and Science Instruction in Elementary Classrooms. Journal of Science Teacher Education, 22, 769–785. Gomez Zwiep, S. & Straits, W.J. (2014). Inquiry Science: The Gateway to English Language Proficiency. Journal of Science Teacher Education. 24, 1315-1331. Gomez Zwiep, S., Straits, W.J. & Topps, J. (2015). Building Inquiry-Based Science Lessons: an Authentic Context for English Language Development. Science and Children, October. Gomez Zwiep, S., & Straits, W. J. (2017). The Integration of English Language Development and Inquiry Science into a Blended Professional Development Design. In Science Teacher Preparation in Content-Based Second Language Acquisition (pp. 163-177). Springer International Publishing. This K-12 Alliance program increases effectiveness of instruction and planning through collaborative processes for teachers and administrators. Program activities focus on developing teacher math content expertise as they improve pedagogy in job-embedded protocols. Expert facilitated teacher learning experiences provide a framework for subsequent lesson and unit planning where analysis of student work guides instructional decisions.